Place buckwheat in boiling water, cover, reduce heat to medium low and simmer 20 minutes. Remove, place in a mixing bowl and fluff to cool. When room temperature, heat the oils in a large skillet. Sauté the mushrooms and onions with sea salt for 7 to 10 minutes until caramelized. Remove and set aside. Using you hands, squeeze the sauerkraut and reserve the brine. Sprinkle kraut brine and lemon juice over the buckwheat. Add the peas and mix thoroughly. 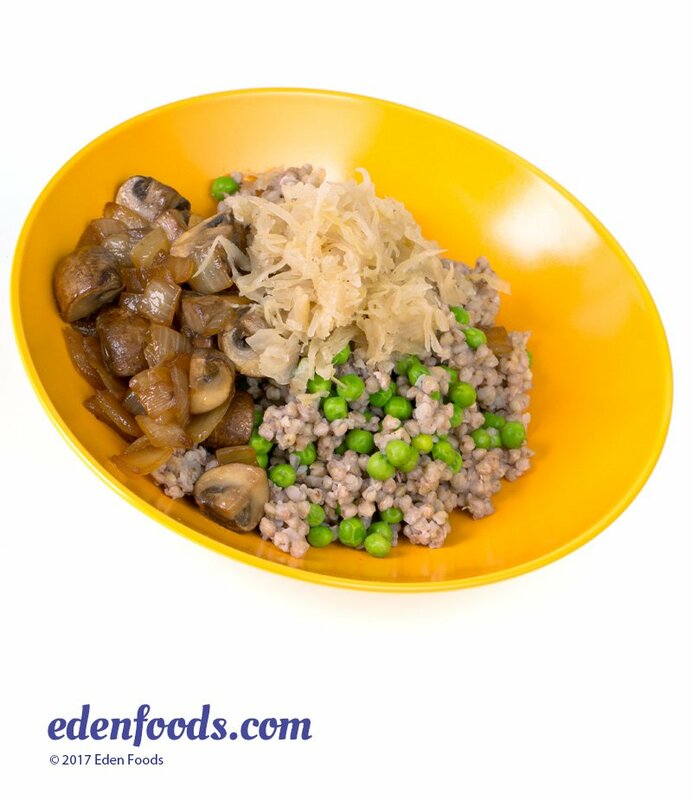 Arrange the buckwheat and caramelized vegetables in a dish and top with sauerkraut.